Not so long ago when leader of the Young Guns crew Nik was studying Polymechanics his father and friends bought an old barn that was filled with cars and mopeds. In a corner was a little bike by German marque Zündapp that the older Swiss lads had no interest in due to its shocking condition. 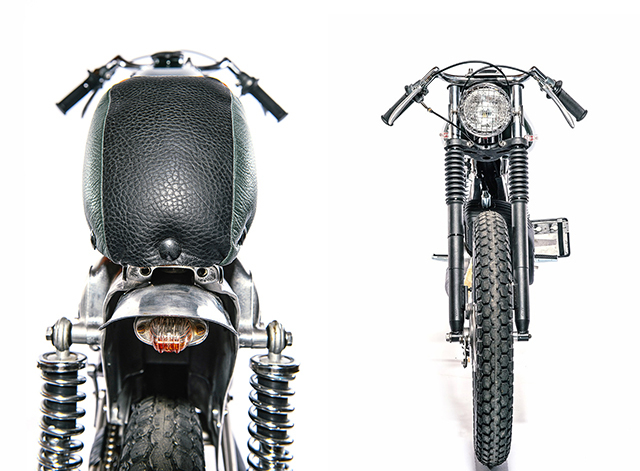 But with his studies calling for a final major project Nik made a bid for the bike and with his best mate Aramis they set about creating one of the coolest school projects you’ll ever see, a venture that resulted in the Speed Shop they now call work. Zündapp was founded during the period of the First World War in Nuremberg Germany as a producer of detonators and tools but as the war ended like so many European companies they had to find things other than weapons to make and turned their hand to engines and motorcycles. They would diversify many times over the decades producing microcars and mopeds, a collaboration with that small German name Porsche and even supplying engines for airplanes. 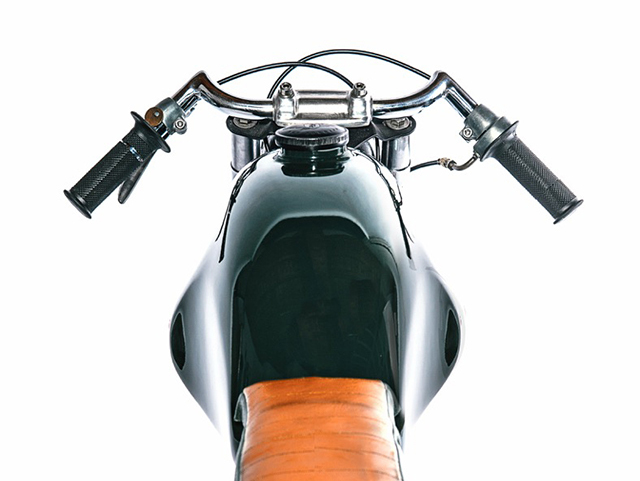 But like any motorcycle company that survived the Second World War they discovered the market had an appetite for small commuter bikes and for five years starting in 1962 Zündapp filled that void with the Sport Combinette, which is exactly what is pictured before you. The first part of the bike to get some love and attention was the 49cc single cylinder 2 stroke that in good condition pumps out 2.6hp @ a low 4600rpm. Like many German machines the little smoker is fuelled by a Bing carby that no doubt needed a good clean after all those years sitting in a barn. The fan cooled engine with 3 speed gearbox was now ready to hoon Nik and his mates around town, which you better believe they did just that. Too add some street cred the single header pipe was heat wrapped and the stock chamber muffler painted black as replacements are unavailable and the original chrome would have long since peeled away. The Sport Combinette is an astonishing light bike, even for a 49cc, so it should be no surprise that much of the frame is alloy and not steal. 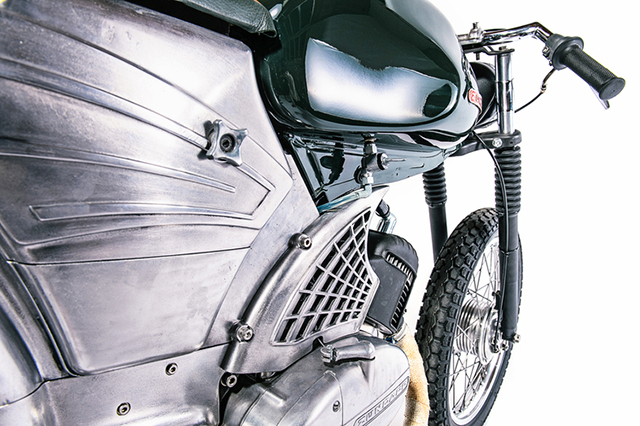 With the intention of creating a Zundapp Café Racer Nik cut the frame to remove any of the tabs and pieces that weren’t absolutely essential and then sent it off to be sandblasted and then returned so the alloy could be polished. The factory tank has been beautifully restored to its original condition, with a period correct petcock and clear line supplying fuel to the engine. All parts that were not painted or polished have been powder coated in black to give a great contrast and provide a crack proof finish. While the side covers remain in their raw alloy finish with new polished hex head bolts and original factory knobs holding them on. 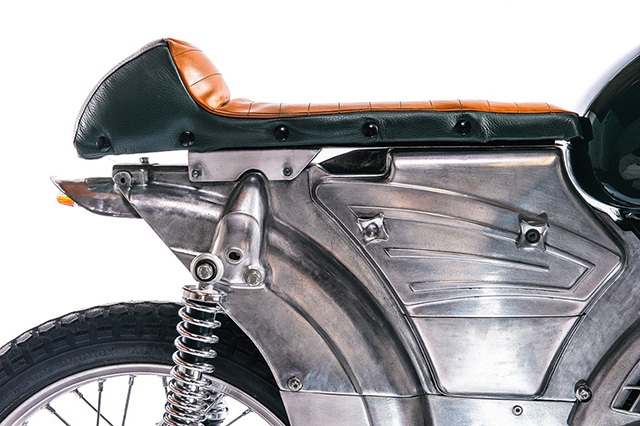 A café racer needs a single humped seat to be truly recognisable and Nik made the seat and the mounts himself from a mix of poly and alloy materials before Aramis took over and did the stunning two tone leather work with black studs. 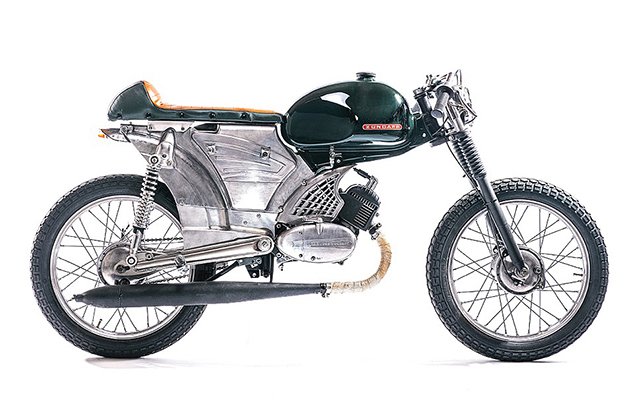 It’s easy to see why the young guys from Rapperswil knew their calling was bike building and even as kids on their first build like true speed shop guys they took a sheet of alloy and hand formed the rear fender from scratch. To further enhance the café credentials the factory bars have been replaced with clubmans and just a single switch is left in place along with the factory levers that have been polished like the rest of the bike. A standard Sport Combinette comes with an enormous front guard that looks like it was styled off of an early 60’s Caddy and in pursuit of weight saving speed and style it was ditched entirely. The front forks have been fitted with gators and powder coated and are held in place by triple trees that are crafted by the Young Guns themselves. On the standard machine the alloy swingarm supports two spring-less shocks per side but these have been swapped out for longer, single, coil over shock replacements. 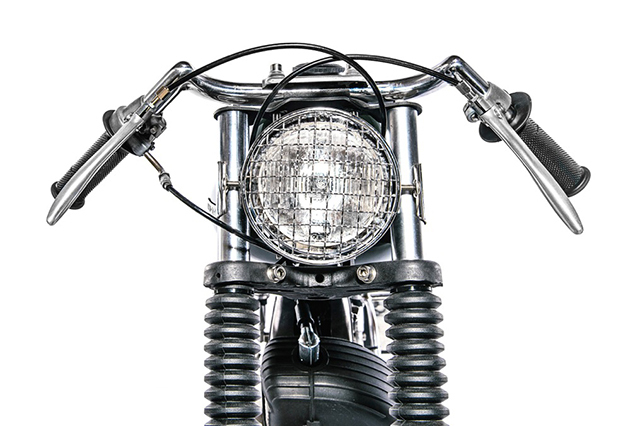 A heavily grilled headlight gives the Zundapp a spot of toughness for the streets and the rims have been polished before being fitted with some 60’s style rubber. It took the Young Guns just 5 weeks to complete the project and set their lives on course for a long journey in bike building. This machine was not only the start of the Young Guns Speed Shop, it’s also taught me a whole lot about the history of a once great company.